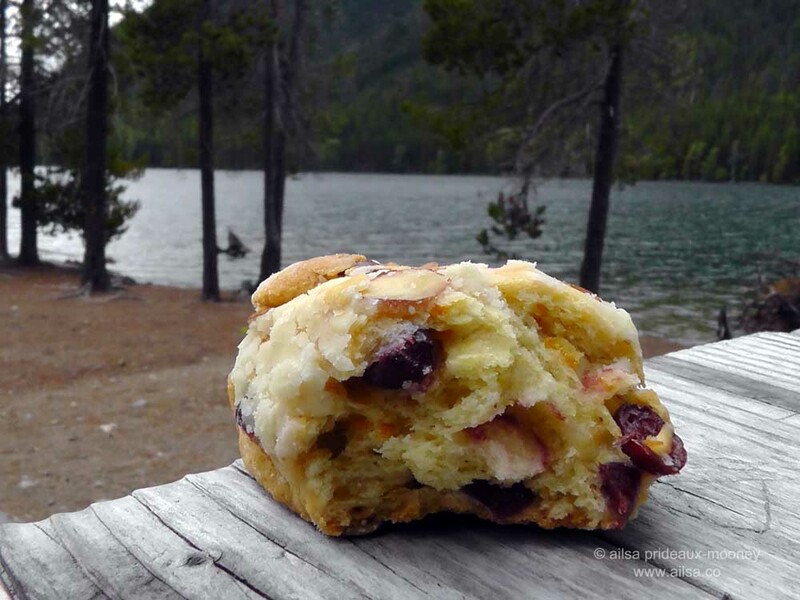 The Great Volcano Road Trip Part 5 – Elk terror on the American River | Where's my backpack? Follow the trip from the beginning here. I cannot remember a time I have slept so soundly on a camping trip. When I finally stirred, pre-dawn light was making its way through the car window. I got out of the back seat of the car and went for a wander through the campground which was silent as a graveyard; nobody else was awake. 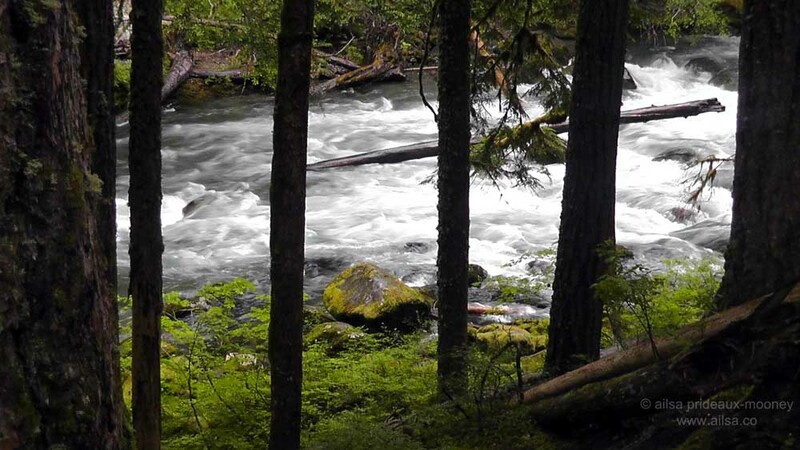 The Ohanapecosh river gurgled and rumbled behind the trees and I sat for a while watching it flow by. Then I did something I have never done on a camping trip before – I went back to bed. When I wake up in a tent, damp and cold and stiff, my only desire is to get out. The comfort of the back seat, however, lured me back into my sleeping bag and straight back to sleep. When I woke again, the campground was bustling with hearty campers cooking up breakfasts and swigging great mugs of coffee. Jo was up and about, so we tore open some bagels and munched hungrily on our store of hard-boiled eggs. Jo had had a great night’s sleep too. Even though it had rained heavily during the night and one side of the tent had leaked, she had slept soundly sprawled out on the dry side of the tent. We were two very happy campers. It was still drizzling and the air was thick with fog, so we decided to make good use of our contingency plan. 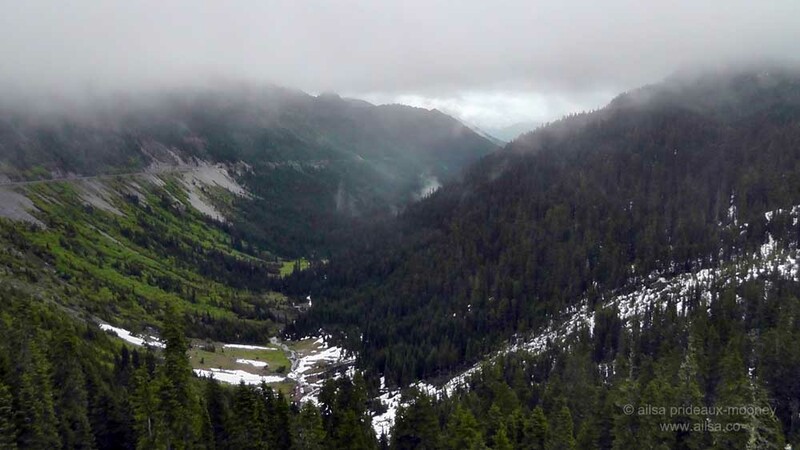 Instead of staying in rain-stricken Rainier, we would drive the Scenic Byways Loop that runs along the eastern side of Rainier, over Chinook Pass into Eastern Washington where the weather would surely be better; then take White Pass back over the Cascades and loop back up to Rainier. It would give us a break from the rain and hopefully tomorrow would bring better weather and we could explore Rainier without getting soaked. We left our tent pitched where it was, paid for a day’s camping at an electronic ticket dispenser by the exit and set out north along a tree-lined road. Rain streaked across the windshield as we climbed in elevation but soon, patches of snow dappled the forest floor, the rain stopped and freezing fog took over. At Cayuse Pass we picked up the Chinook Scenic Byway which winds its way through the mountains in a flurry of switchbacks and hairpin bends. 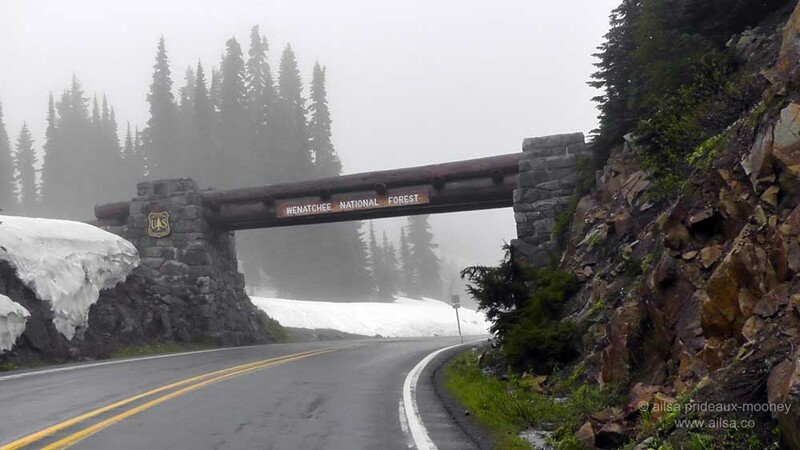 It is little wonder that this road from Cayuse Pass to Chinook Pass is closed in winter; when we drove it in late June the roadsides were still thick with snow. We pulled into a small parking lot on the left hand side and got out for a wander. 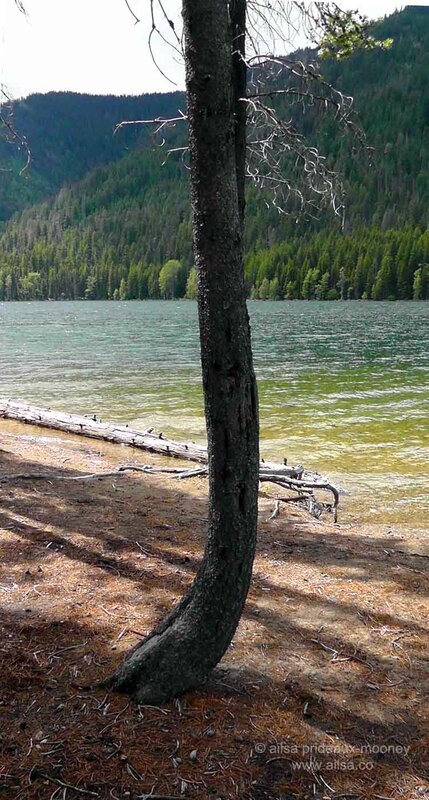 A sign indicated we had reached Tipsoo Lake; a gem of an alpine lake at an elevation of 5299 feet. In the height of summer these meadows are ablaze with colour as alpine aster, broadleaf lupine and magenta paintbrush vie for your attention. There was no trace of wildflowers today, however; they lay buried beneath ten to fifteen feet of snow pack. Jo scampered up the piled-high snow and I followed; our warm breath swirled in clouds around us and our cheeks flushed red with cold as we crunched our way past forests of trees with only their tips showing above snowdrifts. 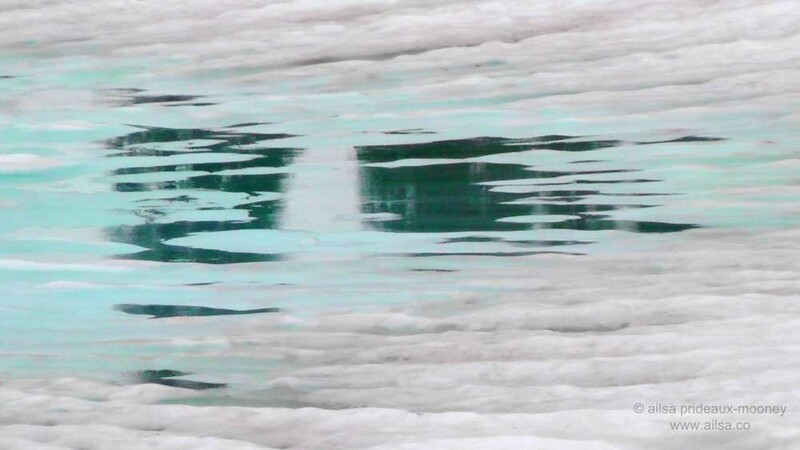 In the distance we saw the delicate blue of icy water peeping through the snow. 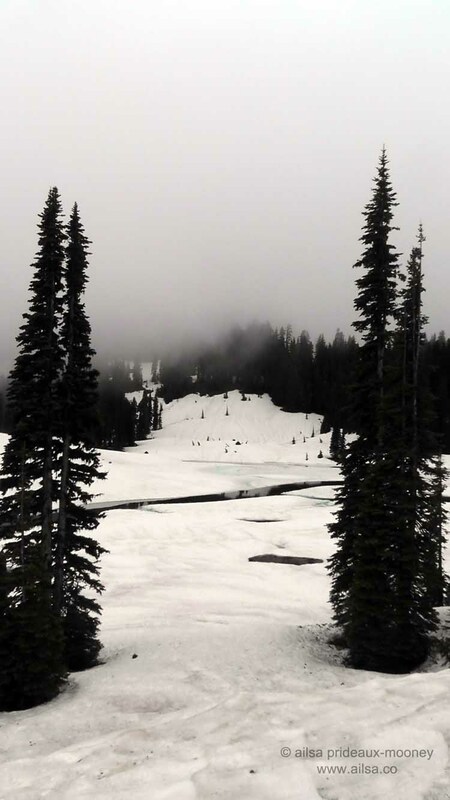 Tipsoo Lake was barely visible and we didn’t dare get too close; we couldn’t see where land stopped and lake began because of the snow and ice. Instead, we climbed high up beside the road to look back across the lake in all its frosty splendour. Then we got back in the car and continued towards Chinook Pass; our ears popping as we climbed to the high point of 5,430 feet in elevation. The summit is marked by a splendid arch of stone and logs that blends beautifully with the surrounding landscape. We were now leaving Rainier National Park and entering Wenatchee National Forest. This stretch of road is called Mather Memorial Parkway, for Stephen Mather, the first director of the National Park Service. Mather started his career as a reporter for the New York Sun, but earned his fortune as an industrialist when he got into the borax business. During a trip to Europe in 1904, he visited several parks and, inspired by their public accessibility, became a dedicated conservationist. A friend of the inspirational John Muir; he joined the Sierra Club and was made honorary vice-president in 1916. Just past the summit, we pulled in to marvel at the magnificent view over the William O. Douglas Wilderness. Even cloaked in fog, it was dramatic to behold. The Rainier Fork of the American River runs along the floor of this valley. 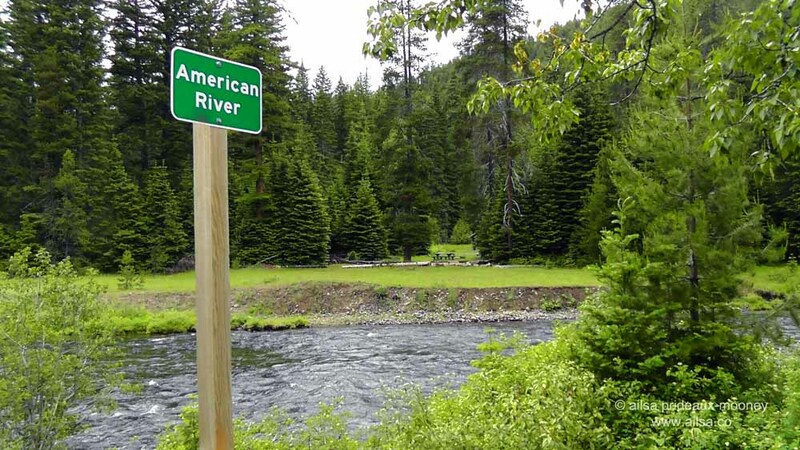 The river used to be known as Miner’s Creek, but hopeful miners renamed it after the American River in California which ran right through the heart of gold rush country. 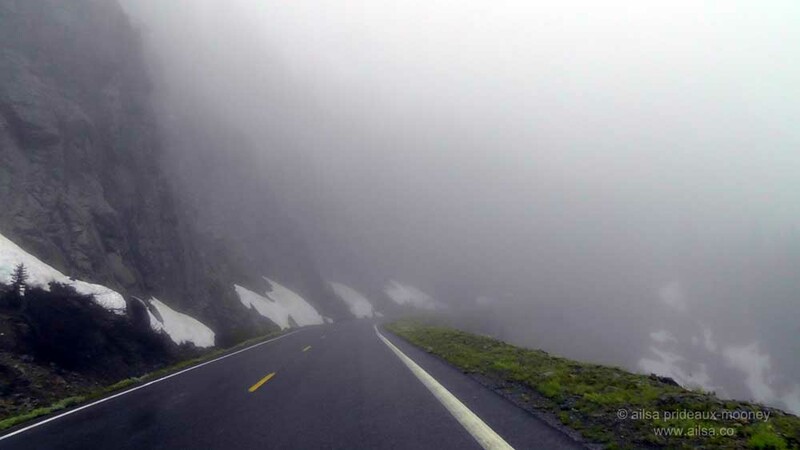 As we drove away from the summit, the river appeared and disappeared from view, snaking from one side of the road to the other as we made our descent. At the bottom of the valley we made another stop to explore a short interpretive trail at Pleasant Valley; a gentle boardwalk through old-growth forest, filled with Spanish moss and lichen and disturbingly large ant hills. …but stopped in my tracks when the wail started again and I noticed a baby elk flailing in the water below. “They were both playing in the river” Jo whispered, “but then she jumped up on the river bank and the baby couldn’t get out.” We backed out of sight, hoping that the mother elk would get back in the river and show the baby how to get out, but when the wail began again we peeped over the bushes and the mother elk was running around in circles in sheer panic. She couldn’t figure out how to get back down the bank to her baby. She looked up at us and her eyes seemed to plead for help. I dropped my backpack and camera and started looking for a way down. “Jo, how do I get down, can you see a way?” I bleated, panic-stricken. Before I could get to the river a swift current grabbed the baby elk and ripped his feet out from under him, tossing him into the water and dragging him off downstream. I let out a cry and then Jo and I were following him along the river bank with the mother elk running along the other side of the river as the baby struggled to keep its head above water. A sand spit jutted out on the other side of the river and miraculously the baby elk managed to scramble onto it. He staggered to his feet and his mother ran at full speed to his side. Jo and I stood watching in silence as the two were reunited; I was fighting back tears and I’m pretty sure Jo was too – we’re both dreadful softies when it comes to animals. For a brief moment, the mother elk turned and met our gaze and I swear we shared a moment of mutual relief. Then she gave her wayward baby a lick on the nose and ushered him off into the safety of the forest. We made our way back to the car in relieved silence, and as we drove further along the American River we watched as it grew ever more turbulent, brimming with whitewater and treacherous rocks. I couldn’t get the picture of the baby elk out of my head, imagining him being tossed through the rapids and bashed against rocks. In my head I had named him Norman after the calf in the movie City Slickers. “I wonder what Norman’s doing now?” I said and Jo laughed herself silly at my idiocy. We made a detour, turning off onto Forest Road 1800 which leads deep into the heart of the valley, through the adorably named village of Goose Prairie, to a picnic area on the shores of Bumping Lake. It’s worth the journey for the place names alone. The valley seems to exist in its own little micro-climate. The mountains surrounding it were doused with fog and extremely cold, but when we arrived at the picnic area there was blue sky above, the sun was shining and it was surprisingly warm. We peeled off our fleeces and sweaters and picnicked on sandwiches and fruit scones in the sunshine. …until I too gave in to the serenity of the surroundings and lay down in the sunshine. We were only halfway around the loop but between the snowy hike and the baby elk debacle, we were in need of a rest before setting off again. This entry was posted in Photography, Travel, United States, Washington and tagged humor, nature, photography, photos, pictures, travel, writing. Bookmark the permalink. What a lovely story. We explored some of these beautiful places in early summer 2010. Makes me long to go back to all these great mountains and to the lovely time shared with my family there. Love this post. This is one area I may never get to, so keep writing. I’m living the dream through you. Great photos! Glad you both stayed dry. Not sure sleeping in the back seat counts as camping tho. Great experience and well-shared. The Pacific Northwest is so wonderful. I’m so glad the baby elk made it. That must have been so distressing to watch. I love your photos. I was beside myself when I saw him whisked away by the current, I thought he was a goner for sure. That would have just been an intense and scary thing to see, I’m not sure how I would have reacted. Another terrific post. I always look forward to reading your adventures. 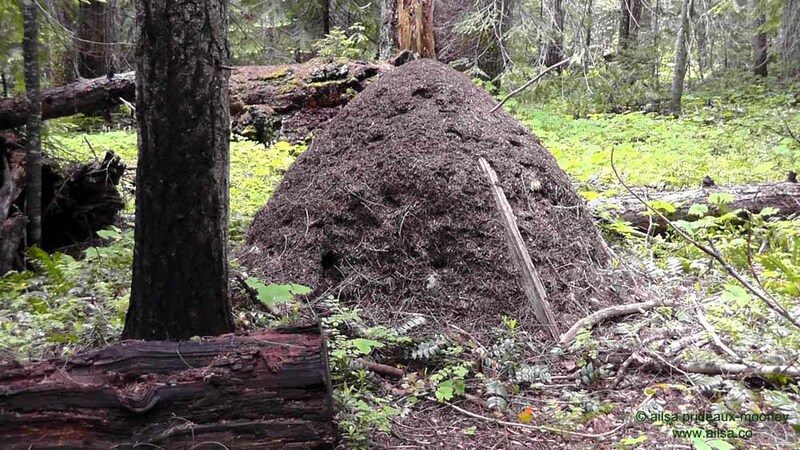 One question though….you were joking about that huge mound being an anthill, right? Umm, nope, it was a giant ant hill. Seriously, there were dozens of them all around Pleasant Valley – they nicknamed it Pleas’ant’ Valley – and some of those mounds were taller than me! You couldn’t stand around too long or ants would start crawling over you. Gulp! What an incredibly beautiful place. I hope one day I might visit it myself, but in the meantime I will have your pictures! Thank you. Haha yes that scone was tasty! And phew, I was so relieved the elk got back on dry land, I would have been floating down the river after him if he hadn’t found that sand spit. Thank goodness that baby elk reached safe ground..dear little thing..that poor mother. Revolted by the ant-hills, yeuch! I know, my heart was in my mouth when I saw him shoot off down the river, and that wail he was making nearly killed me, it was such a relief when he scrambled onto dry land, and the poor mother was in such a panic, it was awful to watch, Jo and I both got a little teary when we saw them back together. Oh, yes, those ant hills were massive and the ants were tenacious little creatures, you had to keep moving because otherwise you were going to get bitten. Love this. Your description of the baby elk in peril had me on the edge of my seat. I can’t wait to read the next installment. 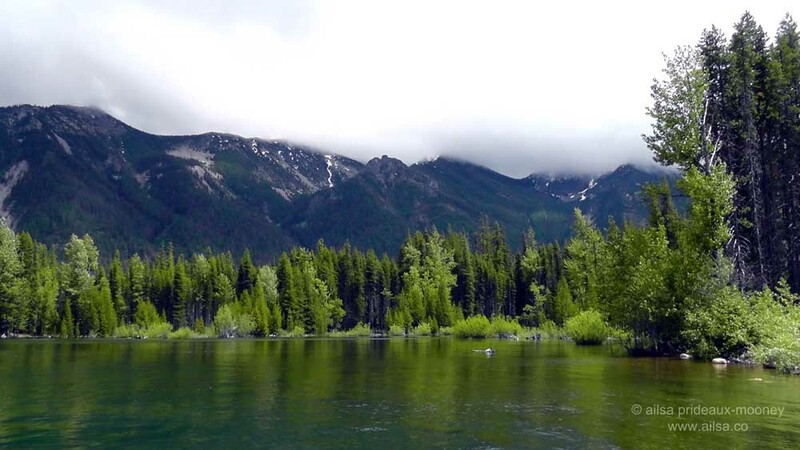 Glad you enjoyed it, Dawn, I have to tell you, my heart was pounding as I was writing about it, it brought back the panic I felt watching the elk struggling to stay afloat and I could hear his wail as if I was still standing right there. As the reader you did a good job of putting us right there with you. Oh, I’m glad there was a good outcome for Norman! Me too, yaay Norman. I hope he goes on to live a very happy and danger-free life. His poor mum too! Thank you for sharing your wonderful adventure! The Pacific Northwest is gorgeous through you lens! If only you could have heard my sigh of relief! Oh Gilly, I can hear it from here – it’s almost as loud as mine! Seriously, writing about it again got me all anxious, it was such a scary thing to watch him swept away by the current, and the poor mother was in such distress. I think I need a cup of tea to settle me. That’s a wonderful story. Good holidays are usually comprised of making memories – I doubt you will forget this one. 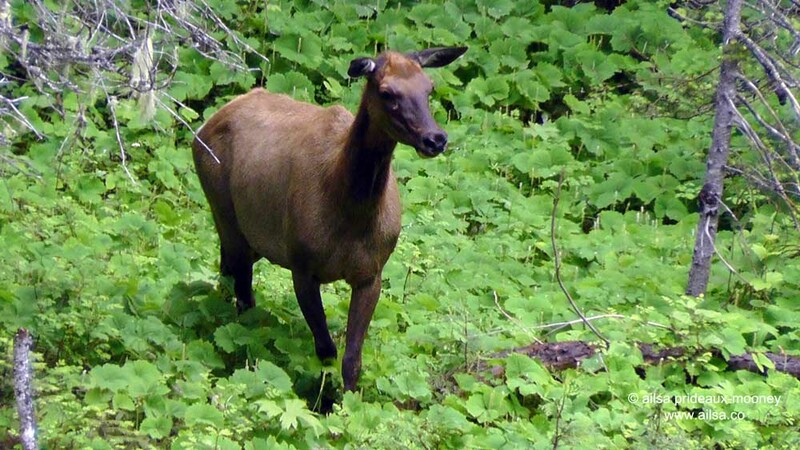 A great story about the baby and mother elk! Thankfully one with a good ending, whew, it was very nearly curtains for that poor baby! I was just reading along, all relaxed and thinking about my next camping trip, and then I got to the baby elk paragraph. WAKE UP! Haha, sorry Randee, should have posted a warning notice. Still, it all worked out well in the end, hurray! I was so relieved that the elk story had a happy ending, what a relief. This is a wonderful post. The photos are excellent (My favorites are the lake with ice and the lichen), the writing is superb, and of course the elk story was great! 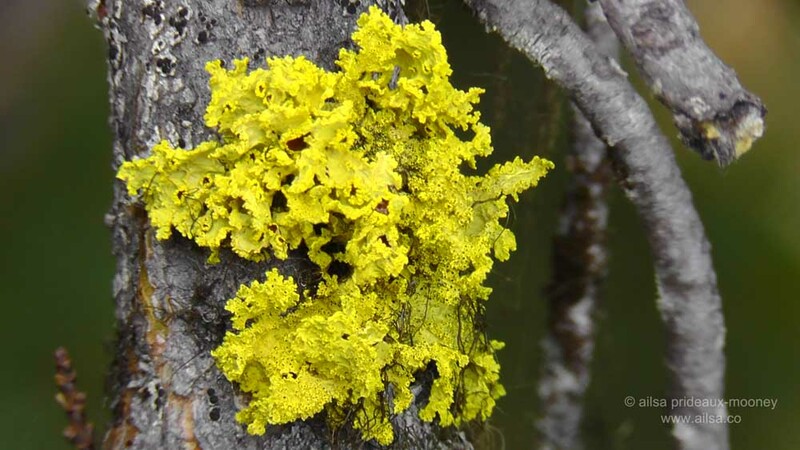 I am from Alaska, and in the forest around my house I can find SO many kinds of lichen. The two you have here are familiar to me. 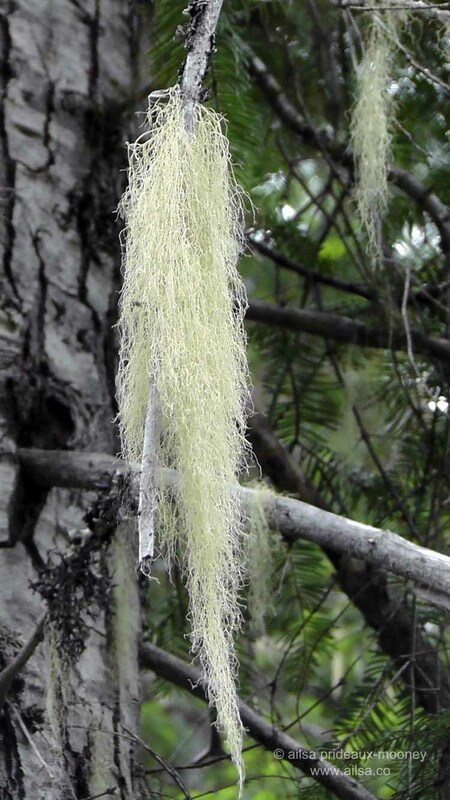 It is quite enjoyable to photograph them, and I also used certain varieties to dye wool. I don’t comment often but always enjoy your posts. Thanks. Lovely story and really great photos! Oh good heavens, thank you for that elk story – I’m so glad it ended well! Me too, I would have been crushed if something had happened to that little guy! I love the NW and almost asked for a transfer there. I wish someday I could go back. I love the elk story – I bet that was heart-wrenching to watch but am glad it ended well. Thank you for taking as with you. Your pictures were absolutely breathtaking! I felt like I was actually there! Wow, that had to be quite the experience watching the mother elk going through that. Just reading it brought up feelings. Thanks for sharing. WOW! Great story and photos!